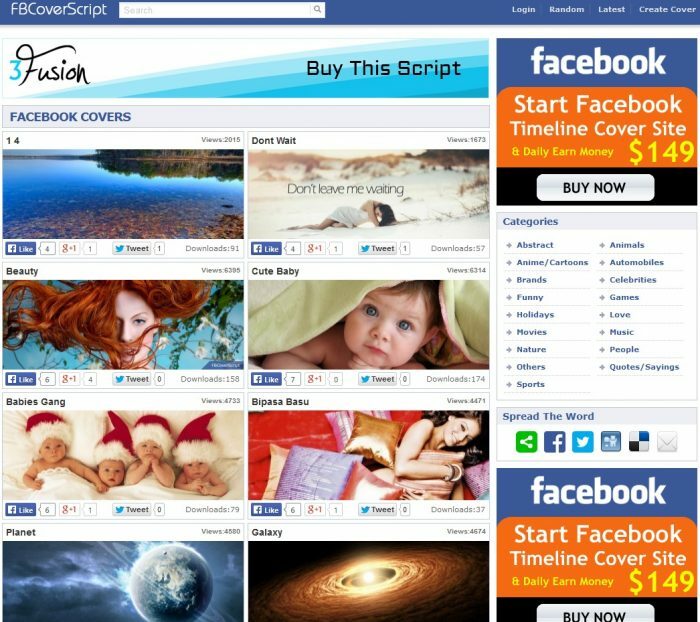 Facebook Cover script you organize and share your photos on Facebook that lets cover a complete solution, Collage friends, family is covered and make money from advertising. Users upload their own photo collage covers covers can share and variety. Visitors can click a button, directly from your web site can change the cover of their Facebook Facebook API uses it. User can create own covers and customize with some cool effects, resize etc. Directly Upload Cover to Their Profile etc.